Height from Center of Wall Opening: 13.25 in. 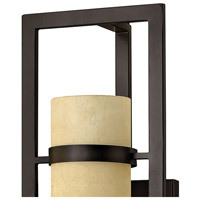 Q Can this light be mounted on a vanity mirror? 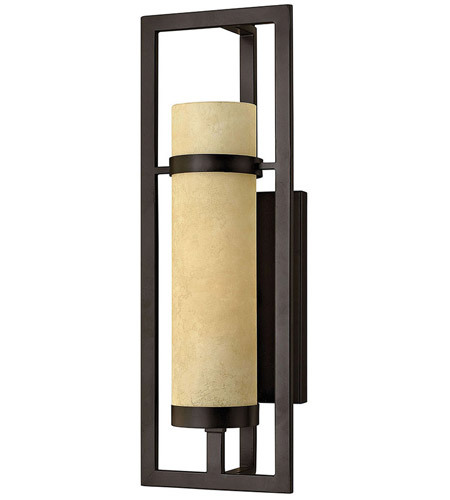 A The Hinkley Lighting Cordillera 1 Light Sconce 4090RI measures 22"H and is a hard wired wall sconce. 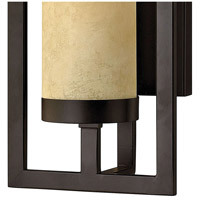 For installation on a vanity mirror it is recommended that you speak with your electrician in detail and discuss installation and wiring options.